Hotel Commonwealth - A webcam in Boston, Massachusetts - camera location: Hotel Commonwealth. Boston, Massachusetts: Skyline Boston, 1.6 mi. Boston, Massachusetts: Josiah Quincy Elementary School, 1.6 mi. Boston, Massachusetts: Landscape Panorama, 2.1 mi. Boston, Massachusetts: Boston Tea Party Webcam, 2.3 mi. Boston, Massachusetts: Seaport Hotel, 2.8 mi. Cambridge, Massachusetts: Benjamin Banneker Charter School, 3.5 mi. Boston, Massachusetts: Skyline Boston, 3.6 mi. Milton, Massachusetts: Blue Hill Observatory & Science Center, 9.5 mi. 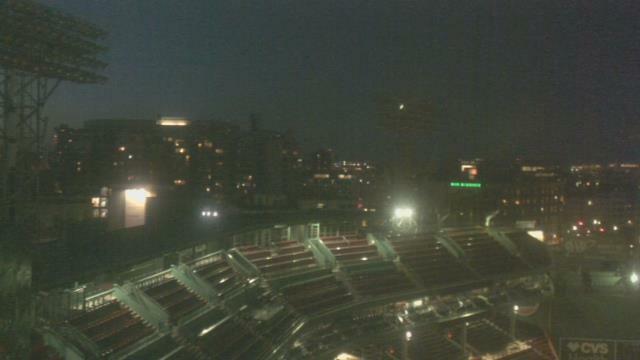 This webcam Boston, Massachusetts with the theme City Views was added on June 28, 2012 and is operated by WeatherBug. It got 11739 visitors since then. Shouldn't this webcam work or should the link be wrong please report that here. You can add this webcam here to myCams.